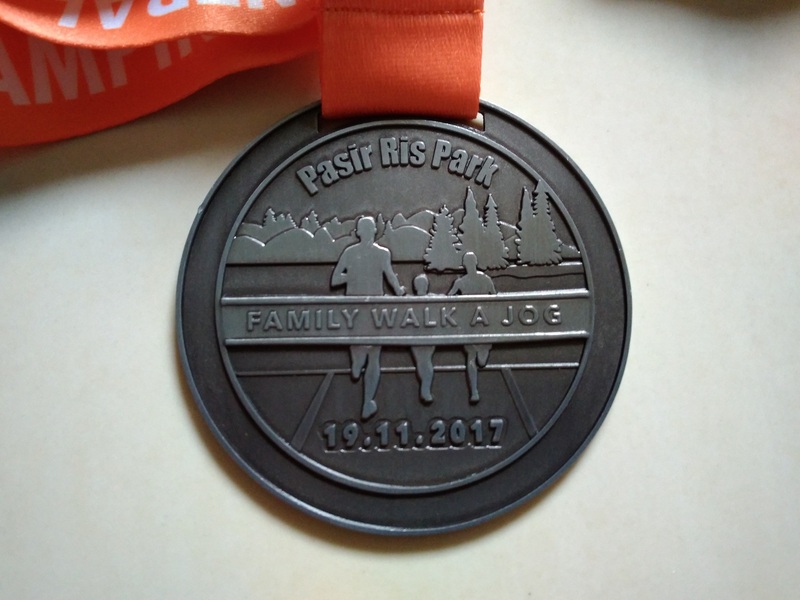 Review: Family Walk & Jog @ Pasir Ris Park 2017 (by Stargazer) | JustRunLah! 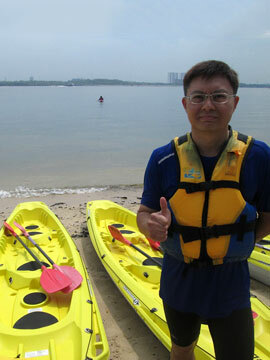 19th Nov was a good day for the outdoor activities. 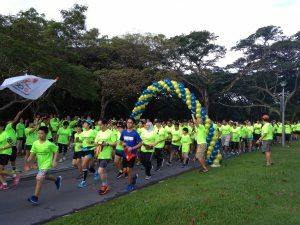 There were showers the previous day, which resulted in an excellent weather condition for the 500 or so participants starting the walk & jog at 7.30 am at the Pasir Ris Park. Participants were led to do warm up exercises before the start-off, after which runners chiong at the front while walkers like myself and my family started at the back. 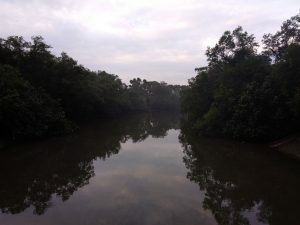 The route began from the Central Plaza to Camp Site 1, U-turn and heading towards the other end of the park before turning back to the finishing point at the Central Plaza. We also saw chickens running around, though I am not sure if they were wild or domestically kept. 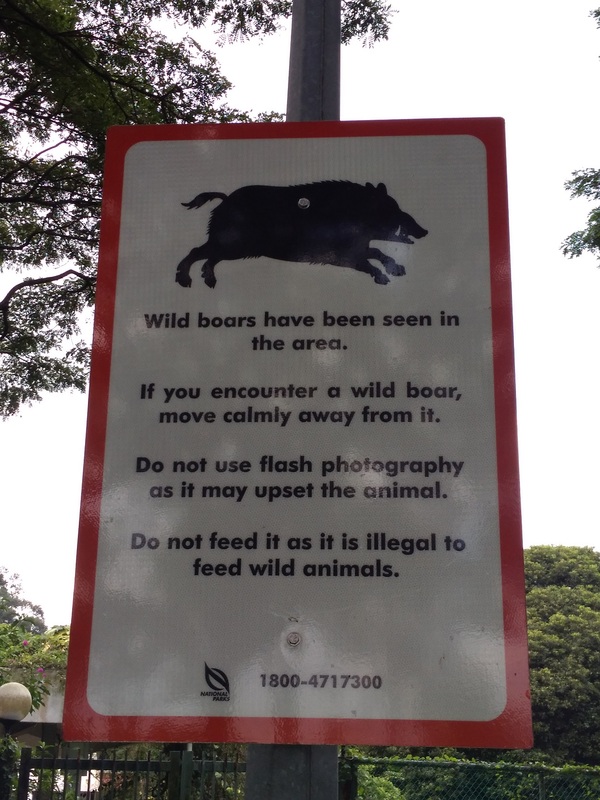 There was no sign of wild boars too, even though we saw a sign board advising caution. 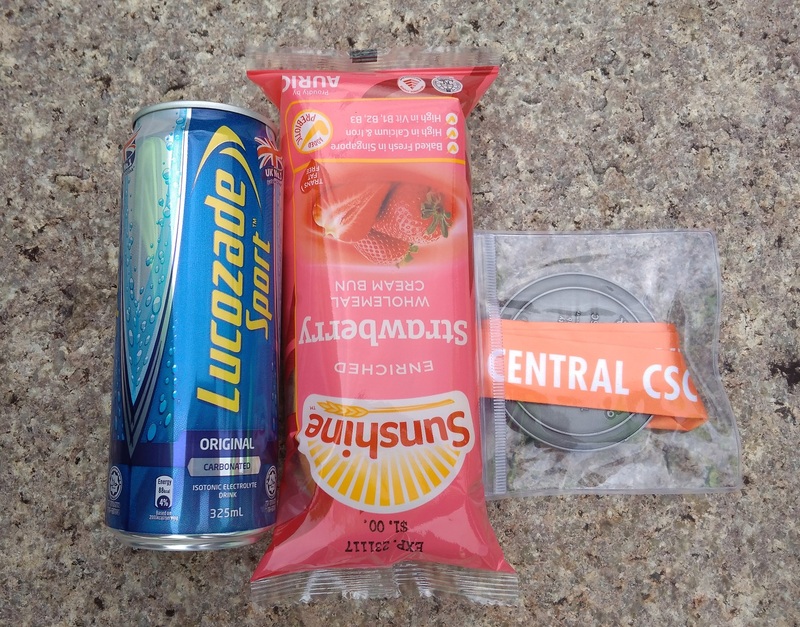 At the finishing point, we were given lucozade 😃 , sunshine buns, bottled water (this was also provided during hydration points) and the finisher medal. The lucozade wasn’t cold, but I guess it was all right as I just walked and wasn’t ‘shack’. The lucky draw took place once all participants were back and rested. There were 10 prizes of Capital Land vouchers, ranging from $ 10 to $ 80. Though this event may not be as ‘glamourous’ as the usual races, I think it was well organized with sufficient volunteers and hydration points along the route. 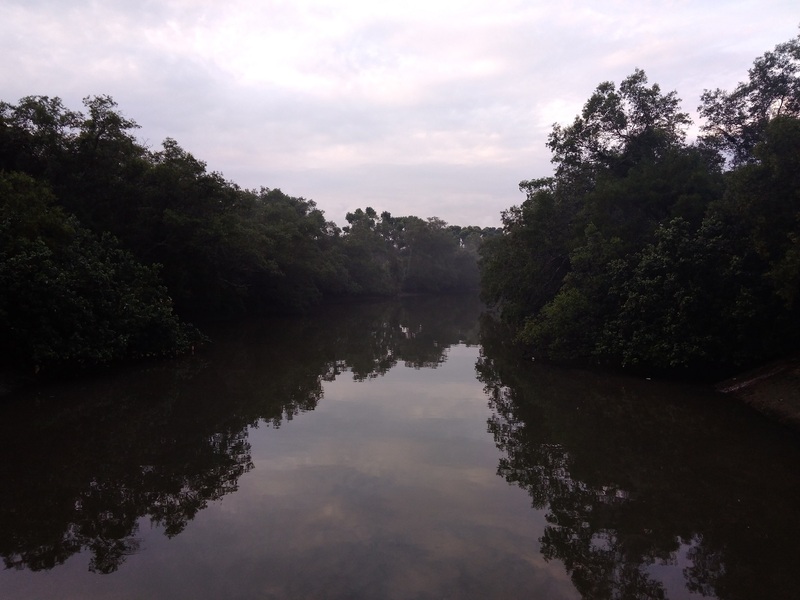 The park is scenic, without being too crowded in the early morning. 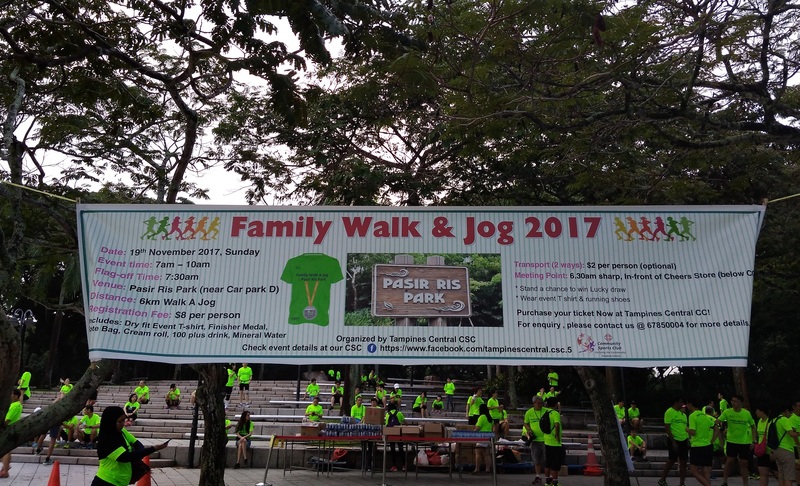 Definitely a recommendation for families looking to bond together in a healthy lifestyle mass event! 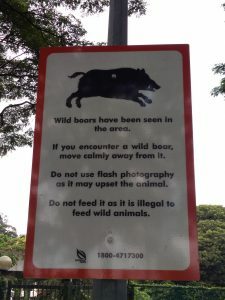 Well written, Thanks to the blogger. Thanks Nithya & SY for your kind comments.